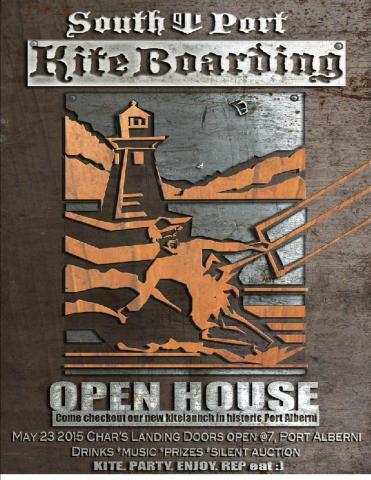 South Port Kiteboarding would like to invite you to their open house. Come check out the new launch located in the historic Port Alberni. Evening festivities at Char's Landing. All welcome Kiters non kiters.. come be a part of this historic event!!! Auctions for art and many other things. Custom t-shirts. Kiteboarders from Victoria and all around the area to come as well as amazing local supporters. We're fund raising money for signage for the kiteboarding launch at the Quay.